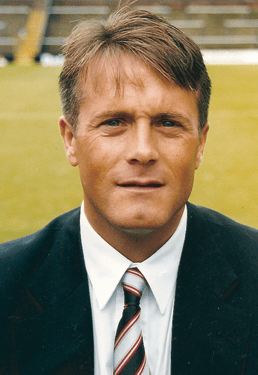 The Fulham Supporters’ Trust are looking forward to welcoming back former Fulham full-back and manager Micky Adams to Craven Cottage for a special evening with the fans later this month. Adams, who established himself as a cult hero with the Fulham faithful after taking over Ian Branfoot as player-manager and saving the Whites from dropping out of the Football League before taking his side up from Division Three the following season, will be back at the Cottage for a question and answer session with supporters in McBride’s on Thursday 30 November. He will share his memories of the special 1996-97 promotion season that began Fulham’s remarkable rise through the English football pyramid, which feature prominently in his recently released autobiography, My Life In Football. Copies of the book will be available to purchase on the evening. Fulham Supporters’ Trust chair Tom Greatrex said: ‘We are delighted to be able to welcome Micky Adams back to Craven Cottage. As the man whose first steps into management ensured Fulham retained their Football League status and then began the club’s remarkable rise with promotion from Division Three, Micky has always had a special place in the hearts of all Fulham fans. I’m looking forward to a great evening at the Cottage with a genuine Fulham legend’. Tickets for this special event can be bought at HERE are available to Trust members, priced at £20, which includes a complimentary drink on arrival. A year’s membership of the Fulham Supporters’ Trust, the democratically-constituted and indepedent voice of the Fulham fans formed from the Back to the Cottage campaign, costs £10 for adults and £5 for senior citizens or juniors. You can join the Trust here.